Microsoft India said it was committed to contributing to the Indian start-up growth story. 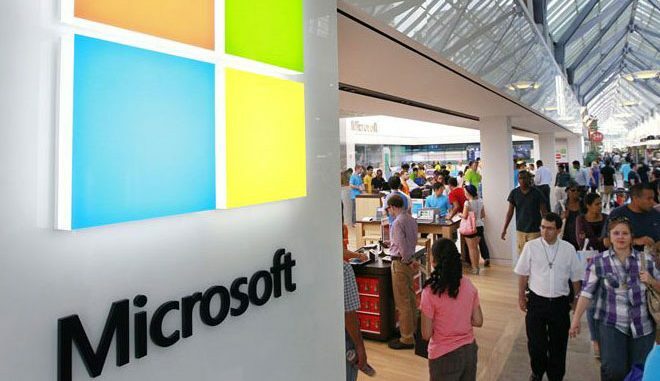 New Delhi : Microsoft has supported over 4,000 Indian start-ups, skill training for 30,000 youth and helped train 26,000 teachers while working with several state governments and not-for-profit organisations between April 2016 and March 2017 in India, a new report said on Friday. In its 2017 India Citizenship Report, Microsoft India said it recognises that India’s entrepreneurial landscape would aid robust economic growth in the coming years and was committed to contributing to the Indian start-up growth story. The company supported and guided the start-ups with programmes like BizSpark, Microsoft Accelerator, among others. BizSpark, a Microsoft flagship initiative, is aimed at supporting early stage start-ups. More than 100 Indian start-ups were selected under the BizSpark Plus programme in 2016-17 which helped them grow their customer base. Microsoft Accelerator empowered start-ups on their journey to build great companies, working with market-ready start-ups and provide the tools, resources, connections, knowledge and expertise that they need to become successful companies. The Microsoft Cloud Accelerator Programme served to accelerate the adoption of services such as Microsoft Azure and transform business and governance in a mobile-first and cloud-first world. Under Project Shiksha, Microsoft India trained over 8,124 teachers in Tamil Nadu, Rajasthan and Madhya Pradesh, impacting 361,000 students. Under Project Saksham, Microsoft has conducted trainings for over 3,307 educators across 123 universities. These faculty members have, in turn, trained 1,126 of their peers. In 2016-17, 661 teachers across 21 universities were trained. As part of the Microsoft Educator Community programme, the Maharashtra government adopted the QR Coded textbook idea catalysed by a Microsoft India Educator Rajintsinh Disale, which allows teachers to receive additional resources and information related to a textbook by simply scanning a QR code. In line with government’s Skill India vision, the company brought Predictive Analysis and Machine Learning technologies to education, healthcare and agriculture in partnership with several state governments. The company’s integrated cloud-first, mobile-first solutions have improved processes, productivity and mobility, in order to accelerate India’s digital transformation. Microsoft Philanthropies has invested over $10 million in cash and technology to transform the way non-profits deliver impact in India, offering educational opportunities to the next generation.